Revital Cohen does it again, with a conceptual medical device that reimagines phantom limb sensations as nostalgic memories. 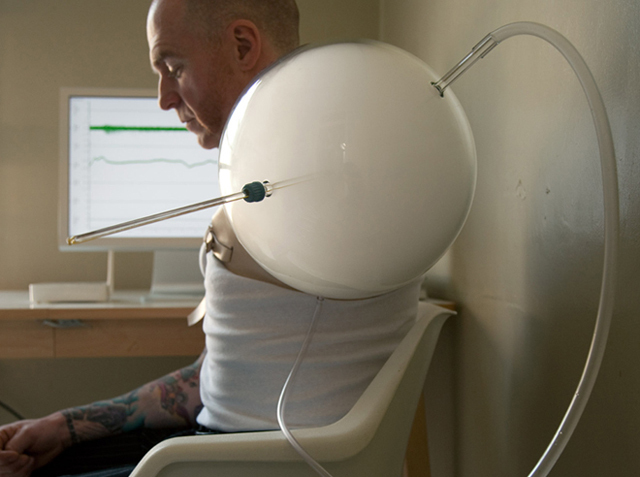 If you’re a regular reader of this blog, you’ve already seen Revital Cohen’s freaky-but-functional conceptual designs, which reimagine medical devices as interactive art installations. Here’s another doozy: Phantom Recorder, a contraption that amputees could conceivably use to “record and keep their phantom [limb] sensation, to be awoken on request.” It may look like a bong from Woody Allen’s Sleeper, but the idea is certainly intriguing. Scientists have developed an implant that will let nerves re-grow onto terminals. 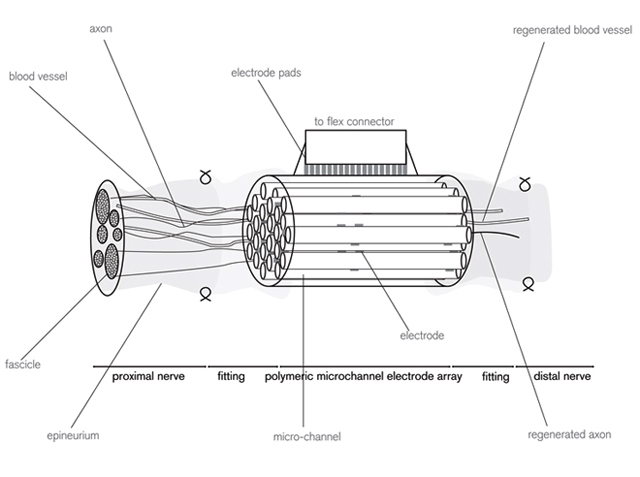 Cohen’s concept is based on the increasingly un-out-there idea of brain/machine interfaces, in which the human nervous system is directly linked in a feedback loop with an electronic device. The scientists who inspired Cohen developed an implant that will let nerves associated with a missing limb re-grow onto terminals which can register their electrical activity and control assistive devices or prosthetics. Cohen has said before that her designs are meant to provoke interesting conversations more than actually function as prototypes, and Phantom Limb seems to fit the bill. For one thing, phantom limbs are often something that amputees want to be rid of, not enshrine as digital keepsakes. In fact, neuroscientist V.S. Ramachandran has implemented his own ingenious way to access, control, and “replay” these phantom sensations so that they can be extinguished for good: a simple mirror. It’s not as pretty as Cohen’s “Phantom Recorder,” but it works.